After clicking the button check [Cancel plan] and confirm your selection. 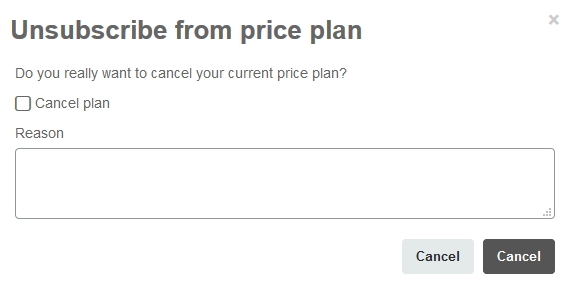 You have the option to enter information on why you are cancelling your plan. 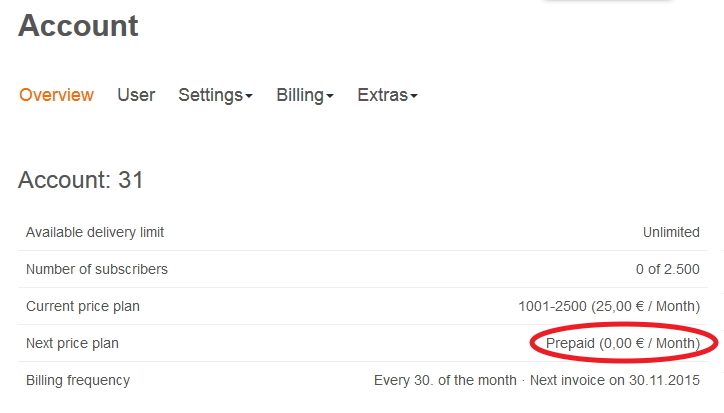 You will now be able to see the cancellation confirmed in your account overview. With our prepaid plans and free plan you do not need to cancel. If you would still like to delete your account with all saved recipient data please contact support. Make sure to submit your customer number with your request. What is the additional quota?